The Adjunct Project endorses the Resolution Endorsing the Boycott of Israeli Academic Institutions, scheduled to be voted on at the April 15 plenary meeting of the Doctoral Students’ Council (DSC) at the Graduate Center, CUNY. This resolution responds to a call from Palestinian academic workers in the Palestinian Federation of Unions of University Professors and the General Union of Palestinian Teachers, among other Palestinian labor and civil-society organizations. If passed, it would require the DSC to adhere to the boycott of Israeli academic institutions and support the work of Students for Justice in Palestine (SJP) groups and other solidarity efforts. Palestinian workers face some of the world’s highest unemployment rates and are increasingly forced to take exploitative, unregulated, non-unionized jobs. Answering the call to boycott is a refusal to cooperate with institutions complicit in Palestinian workers’ exploitation and occupation. In New York City and across North America, groups supporting Palestinians have come under attack. Students, faculty, and other workers associated with CUNY SJP chapters currently face unsupported charges of anti-Semitism that infringe on their freedom of speech, their academic freedom, and their working conditions. The Adjunct Project joins the SJPs in vehemently opposing anti-Semitism, Islamophobia, and all forms of bigotry and racism. 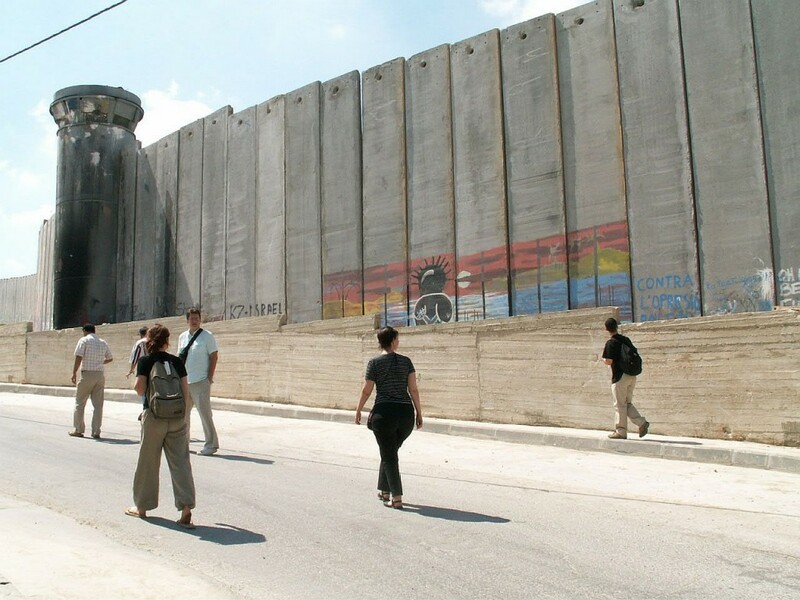 We advocate an end to Israeli state apartheid policies as a specifically anti-racist and anti-colonial project. We further condemn local and state politicians who attempt to justify a regime of austerity through the suppression of solidarity organizing on campuses. In March, the New York State Senate voted for a $485-million reduction in state funding for CUNY in part as retribution for Palestinian solidarity organizing on campuses. This planned defunding failed in last-minute budget negotiations, but the CUNY system still faces a massive shortfall: in addition to millions of dollars in cuts to individual colleges, no funds were allocated for contract negotiations with the 25,000 workers represented by the Professional Staff Congress who have gone six years without a pay increase. The passage of this academic-boycott resolution is important for resisting both the austerity politics that target public employees like CUNY workers and, in particular, the effects of such politics on working-class people-of-color students, faculty, and staff, who must contend with forms of structural racism, settler colonialism, and racial capitalism similar to those faced by Palestinians. We join the graduate student worker union UAW 2865 at the University of California in endorsing academic boycott and the many other academic groups that have done so as well, including the Association for Asian American Studies, the National Association of Chicana and Chicano Studies, the Native American and Indigenous Studies Association, the Critical Ethnic Studies Association, the African Literature Association, the American Studies Association, the American Anthropological Association, and the National Women’s Studies Association, and we support the GSOC for BDS caucus of the union of graduate student workers at New York University in their referendum on BDS, including academic boycott. The boycott resolution before the DSC is an important step in supporting the Palestinian struggle for self-determination. We encourage representatives of the DSC to vote for the resolution, and all members of the CUNY community to raise awareness, through resources like those provided by Labor for Palestine, and to support or get involved with efforts on their campuses, including CUNY for Palestine and SJP chapters.